Pirate park in CB and pickleball in Gunni! The Great Outdoors Colorado (GOCO) board has awarded two local parks and outdoor recreation grants totaling $669,001 to projects in Crested Butte and Gunnison. The town of Crested Butte received $349,241 for renovations to the Town Park “pirate” playground behind the Center for the Arts, and the city of Gunnison received $319,760 for improvements to Charmar Park. A historical shipwreck discovered by Crested Butte divers led by Barry Clifford was the inspiration for the Mary Yelenick Playground at the Crested Butte Town Park. After 30 years the “Splinter Ship” is ready for an upgrade, according to a GOCO press release. The town has partnered with the Center for the Arts and the Center for Historic Shipwreck Preservation to recreate the “Whydah,” a real pirate ship that sank in 1717. The playground’s design will include an authentic replica of the Whydah and will be ADA-accessible. GOCO funding will help the town create a unique setting for creative and imaginative play while also allowing children to tackle physical challenges such as coordination, balance, and strength. The town plans to complete construction by fall 2018. “The support we have received in Gunnison County from GOCO has been staggering. GOCO’s investment in the Town Park Playground Renovation Project will impact our community for years to come,” said Crested Butte parks and recreation director Janna Hansen. “With more than $17 million in grant requests and $5 million to give, I am incredibly honored that this project was chosen for funding. I am overwhelmed by the support we have received from GOCO as well as the many community members and organizations that came together to help make this happen,” said Hansen. The town, in partnership with the Center for the Arts is scheduled to break ground on this project in May. The GOCO grant will fund all of the playground equipment, landscaping, and site furnishings for the renovated Mary Yelenick Playground. In nearby Gunnison, a $319,760 GOCO grant will replace Charmar Park’s playground, open up access to the creek, add a nature trail, and build five pickleball courts. Pickleball is a fast-paced paddle sport. The three-acre park is one of the oldest and most popular parks in Gunnison County and also serves as a starting point for miles of trails that connect to BLM and other public lands. The park is also heavily used by Gunnison Middle and Elementary Schools, which are both within walking distance to the park. The project will leverage more than $41,000 in local funds, including donated project costs and contributions from the Gunnison Pickleball Association, the Gunnison Elementary School, Western Colorado State University, and other local organizations. Construction is slated to be complete by fall 2018. To date, GOCO has invested more than $43.1 million in Gunnison County projects and has conserved nearly 26,000 acres there. 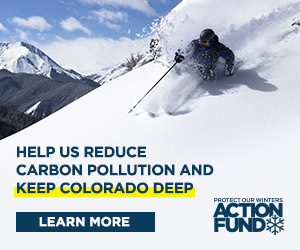 GOCO funding has supported the acquisition of conservation easements on the iconic Trampe Ranch, and has invested in outdoor recreation projects including the Big Mine Ice Arena Roof, the Crested Butte Town Tennis Courts, the Gunnison Dog Park, the Ridges to Rivers Trail, the Gunnison Whitewater Park, the Legion Park Playground, and the Gunnison Skate Park.